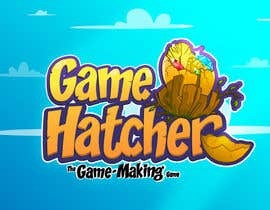 1) A "Game Hatcher" logo for my mobile game. "[login to view URL]" has a draft that can be used in part but doesn't have any graphic elements. 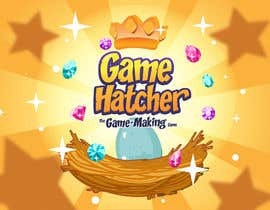 I like the idea of a nest or hatching shell containing game elements such as coins, hearts, gems, etc. 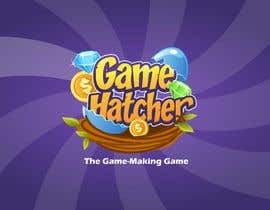 2) A design of all 6 screens (only the "Design" button on the final ) in "[login to view URL]" to have the look of a contemporary mobile game--ie. stylized titles, fonts, borders, frames, buttons, and backgrounds (the white is not ideal). NOTE: "[login to view URL]" is just an example of a kind of modern-looking game UI. Just as an example of the general feel of the screen redesign. My name is Moshe Cristel and I am a software developer from Issaquah, WA, USA. 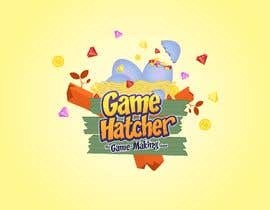 I am working on a simple mobile app/game called "Game Hatcher". 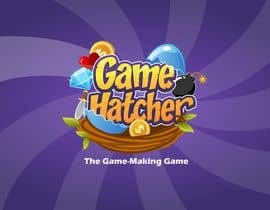 With the app, the user will be able to design their own platformer-style game (similar style to the old Nintendo game, Super Mario Bros.), play the game and invite others to play. 2. A background for the game. This will be some sort of scrolling scenery. 3. 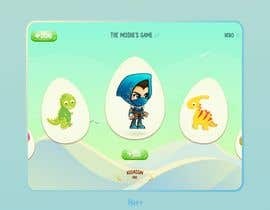 A themed set of 'collectibles' to collect for points such as 'Gold', 'Gems', etc. 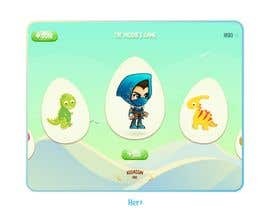 The user will then go to a "Design" screen where the user will be able to draw platforms/landscapes, place their hero, collectibles, enemies and other game objects. 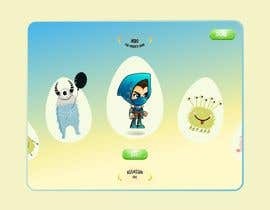 As the user designs their game they will be able to toggle between the "Design" and "Play" screens, perpetually modifying their level and testing it out until it is ready to share. 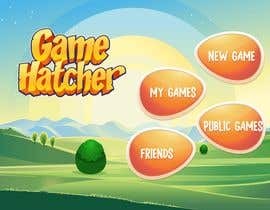 I am looking for someone to take the half-designed logo and prototype screenshots and come up with polished/professional designs. Generally looking for something whimsical and a bit cartoony. Audience is tweens and teens. Attached are screenshots/mockups of what I've got so far. The logo can be entirely redone or built upon (I have Adobe Illustrator files if you need them). I like the lettering but it needs a graphic element(s)--perhaps something like a nest with various game objects inside. Or hatching out of an egg. Please mention the dimensions for each screen . Probably the best dimension to shoot for would be the dimension of the standard iPad--a 4:3 landscape aspect ratio (w:h). Ideally the design would be done with vector images so that it would be easy to modify for other dimensions. i will submit an entry soon...pls do not close the project before the deadline. any chance of increasing the prize? I guess I need to submit an entry first before suggesting a reasonable prize. Right? You know each element on the design will take much more time because you would want more details in all of your elements. Anyway. Let me get you a mockup for the logo then we'll take it from there. Sounds good. 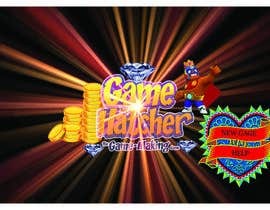 If the logo looks promising enough I might be open to negotiating an increase in the prize. 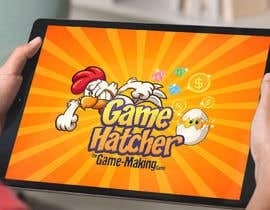 is this for Ipad or Mobile? Only tablet initially, but hope to eventually work for phone as well. A design that would work for both would be ideal. I wish . I can give you something new. *** Please see "Six_Screens_To_Redesign.png" for an example of what I need redesigned. I'm expecting 6 screen designs + logo ***. A successful entry will focus more on the screen redesigns than the logo. 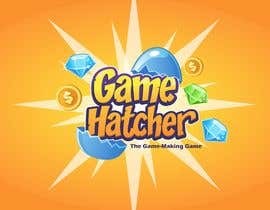 Your logo looks nice but does not play at all on the word "hatcher". I was also wanting 6 screens re-designed as illustrated in "Six_Screens_To_Redesign.png"
Will post an entry very soon. Please don't close early. Also can you provide hero and elements png with transparent background. Thank You. Hi Yash, Please take your time. I will be allowing this contest to go for the entire week. The *** screen designs *** are also an important part of this project. I've attached "Pirate_Clash_UI_Example.jpg" as an example of a mobile game design that you might use to get a general idea of the feel I'm looking for. 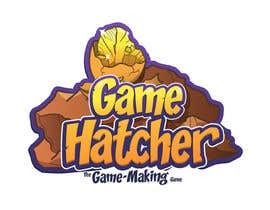 1) A "Game Hatcher" logo for my mobile game which includes the words "Game Hatcher" and some appropriate graphic element. "Home.png" has a draft that can be used in part but doesn't have any graphic elements. I like the idea of a nest or hatching shell containing game elements such as coins, hearts, gems, etc. 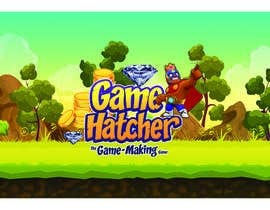 2) A design of all 6 screens (only the "Design" button on the final ) in "Game_Hatcher_2.png" to have the look of a contemporary mobile game--ie. stylized titles, fonts, borders, frames, buttons, and backgrounds (the white is not ideal). Please clarify, what do you need for this contest? is it logo only or something else? Thank you. 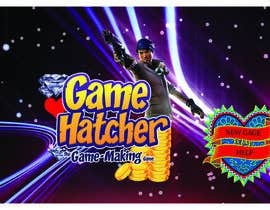 I've changed the image that demonstrates #2 to "Game_Hatcher_2.png"
can you give me the png img of hero??? Hi Nahid, I have many hero images that are available to the user in the game so using this particular one in the logo probably doesn't make sense but I have added "Assassin.png" to the project if you want to use it in the screen designs. Do you need jewelry design also??? How type of theme do you need for your platform?